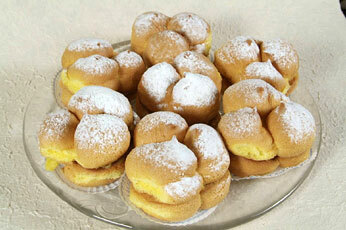 “Sise delle Monache” or “Tre Monti” as they are also known, are baked only in Guardiagrele, Province of Chieti. 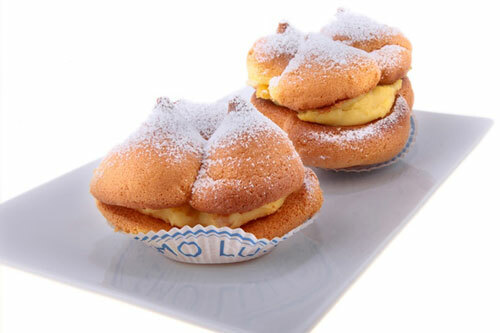 These fresh cakes are made up of two layers of soft sponge filled with confectioner’s custard. 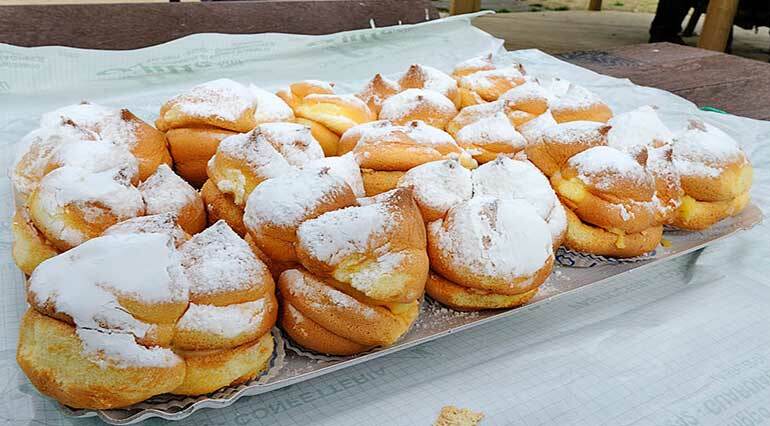 The sponge cake is made with a special process using fresh eggs, sugar and flour, whereas the cream requires fresh milk, eggs, sugar and lemon.The typical shape is of three mounds arranged in a triangle, referring to Mount Majella’s three peaks, set behind Guardiagrele. Copper recipients were once used to cook the cream, but have now been replaced by stainless steel pans. The sponge cake is oven-baked. The pastry is delicious precisely because it is so simple and uses such genuine ingredients, whilst its name arouses much curiosity. The creator of this speciality, and now symbol of the little town of Guardiagrele, was Giuseppe Palmerio, on his return from Naples in 1884, where he had been sent by his father to learn the art of patisserie and where he learned a great deal. Giuseppe was inspired to create this simple, refined cake. One day, the Guardiagrele dialect poet, Modesto Della Porta (1885-1937), on seeing a tray full of these pastries, straight out of the oven and covered in icing sugar, extolled their freshness comparing them, for their purity, to a specific anatomical part of nuns, whom a legend says would conceal and camouflage their breasts by adding a wad of cloth that formed a third protuberance. Other folk tales insist that these sweet pastries were produced in historic times by the Poor Clare order of nuns and the name is therefore to be ascribed to them.